Author’s Note: This is a fanfic for The Originals. Not really part of any particular episode. Disclaimer: I do not own them, I’m not making any money from them, but I do love abusing them. If anyone could send Elijah my way, I would be very grateful. Warning: Spanking of an adult by a sibling. This was pain. Yes, undoubtedly, this was real pain. He could take pain; he had always been able to take pain. Their father had seen to that. While Klaus bore the brunt of Mikael’s temper, his other children were not exempt. With the exception of Rebekah, his little princess, Mikael’s philosophy was definitely spare the rod and spoil the child…and none of his children were spoiled. So they learned early, and they learned well. Take the pain, show as little reaction as possible, and then creep off quietly to lick your wounds alone. Esther was no help; she ignored her husband’s treatment of their children quite easily. Rebekah was again the exception; she invariably risked her father’s wrath to comfort any one of her siblings who had suffered his disapproval. And while he let her get away with far more than her brothers, if he found her offering sympathy to one of them she would not be exempt from his violent temperament. So, this was pain. Familiar. Understandable. So why were traitorous tears hovering so close to the surface? Why was it not simply to be endured, as he had endured so much else? Perhaps, Elijah admitted reluctantly to himself, gritting his teeth at a particularly sharp strike, perhaps it was due to the circumstances. Perhaps it was because it was deserved, this time. And perhaps it was because of the person causing this pain. The least likely person; his mind still could not fully grasp the reality of this absurd situation. An involuntary grunt escaped his lips; clamping down firmly on his rapidly disintegrating stoicism, Elijah brought himself back under control…until he heard the soft, bitter laugh from behind him. “What’s wrong, brother? Not enjoying our little ‘discussion’?” Rebekah’s face tightened at the sound, fanning the flames of the anger fueling her. So many times this situation had been reversed; so many times she had found herself over her older brother’s knee. She flexed the switch in her hands and drew back her arm. 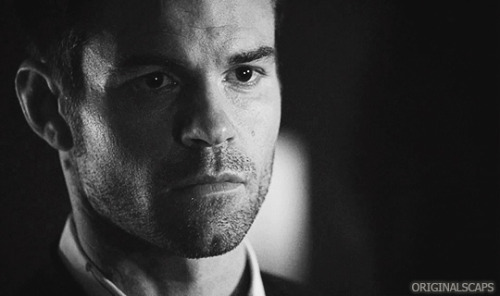 “Really, Elijah, I would have expected better of you.” Her voice dripped with disapproval in imitation of his own. “You left me to DIE!” Anger and betrayal rang in her voice, and she struck again, as hard as she possibly could. “You left me ALONE! The great Elijah Mikaelson, with his ‘always and forever’…but apparently that only holds true when it suits your purposes!” The switch struck again, leaving a deep welt that oozed droplets of blood. Elijah’s body jerked involuntarily; he almost lost his grip on the table in front of him. Closing his eyes, he willed himself to stillness. It was true; he had left her. He deserved every bit of this. Waves of guilt washed over him, making the pain seem merely a token reminder of his own inadequacy, his own failing. She struck again, and as he wallowed in his guilt, wishing only for more pain to wash away the stain from his conscience, he did not notice that the force had measurably decreased. Or that the next strike was even less. He wanted the pain. Pain could not absolve him. Still, he welcomed it. And he failed to hear the strangled sob from Rebekah that accompanied the final blow. It had stopped. And suddenly he realized that it had stopped awhile ago. He forced his mind back to the present, back to reality…and his heart clenched at the sounds he heard. Rebekah was sobbing. As he released his grip on the unyielding table and turned, he saw her collapsed on her knees; shaking, sobbing. Her face was buried in her hands; the switch lay discarded on the floor. Without a thought he scooped her into his arms; soothing, caressing, murmuring softly. Rebekah giggled through her tears, as he had hoped she would, and replied, “By all means, put your bloody clothes back on! This has been a proper row, hasn’t it?” She loosened her grip long enough to wipe the tears from her face and allow Elijah to restore his clothing, then she flung herself back into his willing arms. She shook her head, her face still buried against his chest. “We could spend the next 10 centuries being sorry, and still not cover it all. Our lives are nothing but one big mess of failures and regrets. How did we end up this way, ‘Lijah?” Her voice was soft, still shaky with tears, and so despairing that Elijah’s heart nearly broke. She clung to him tightly, accepting. Yes, he would try. They would all try. And she knew they would all fail, again. That was fate, that was family; the trying and the failing. Always and forever.